collective works is a production process which is just fully functioning when people pay attention to the producing machine. Reacting to its audience, the process translates the flow of people into an object. 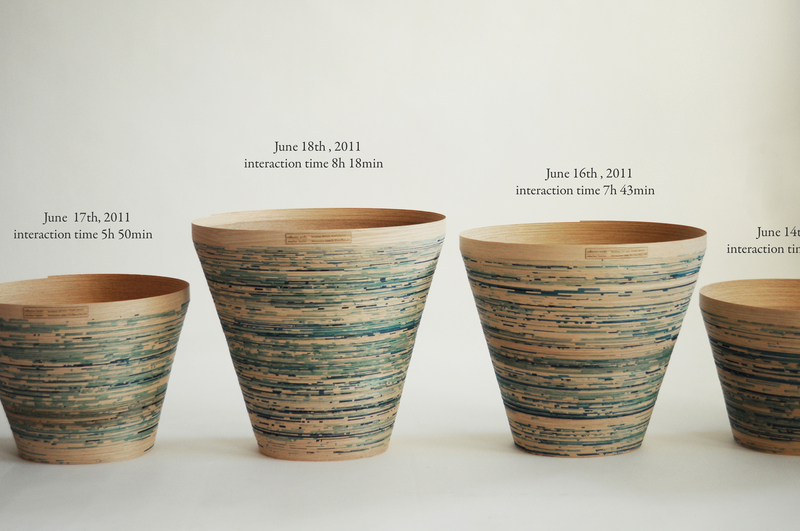 The resulting outcome varies in colour and size just like the level of interest is varying during the time of production. 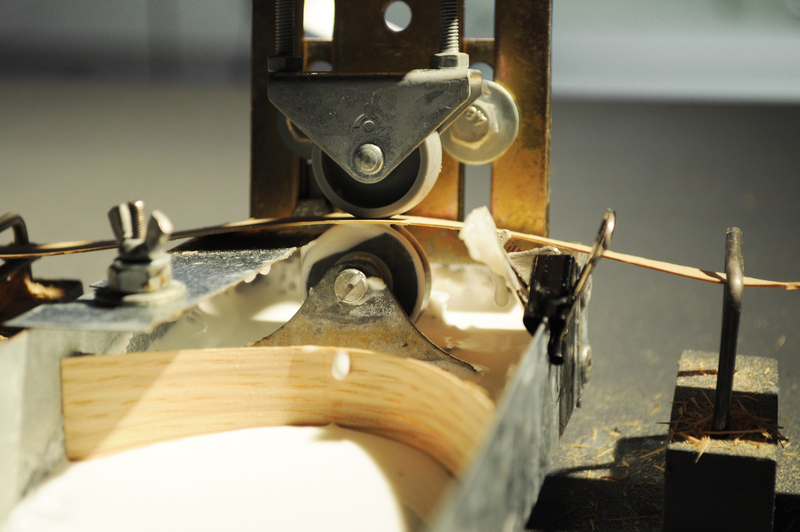 As soon as one person is coming close and looks at the machine, the production process starts: A wooden 24mm wide veneer-strip is pulled through a glue basin and slowly coiled up around a 20mm thick wooden base. 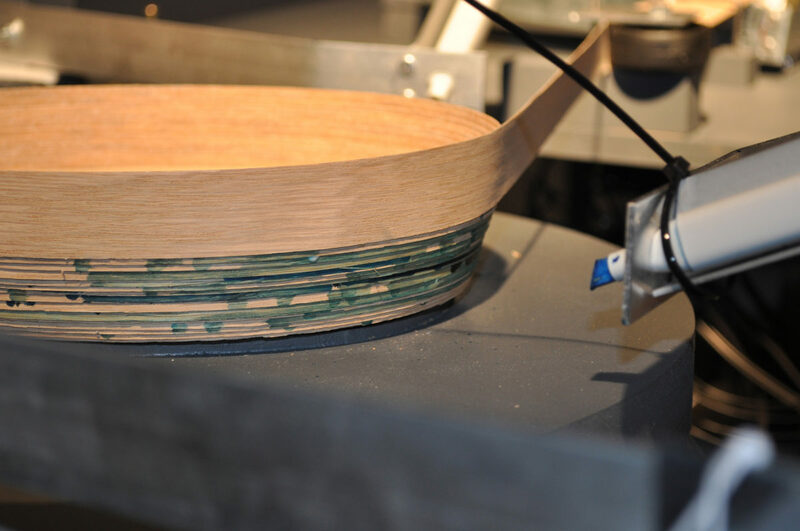 Since the turning platform with the base moves downwards the veneer strip slowly builds up a basket. 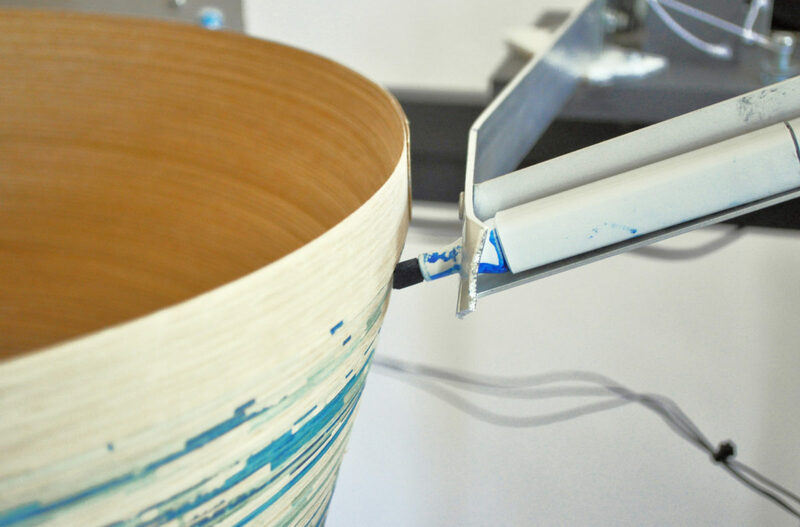 Once a second person joins to look at the process, a light tone colour is added via a marker onto the veneer. The more people come to look at the machine, the more markers are activated, each with a gradient darker tone. This goes up to four markers, at the same time, staining the veneer-strip black. 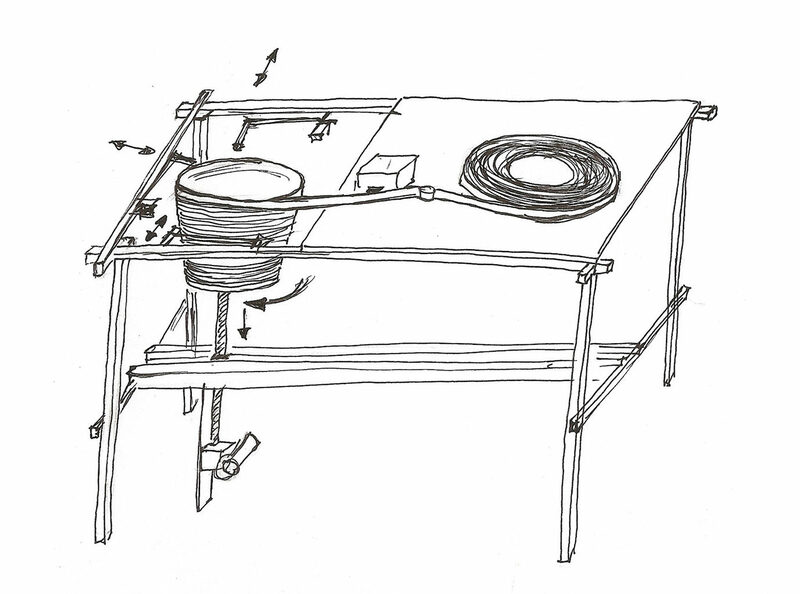 The interaction is possible due to sensors in the frame of the machine which detect the audience. 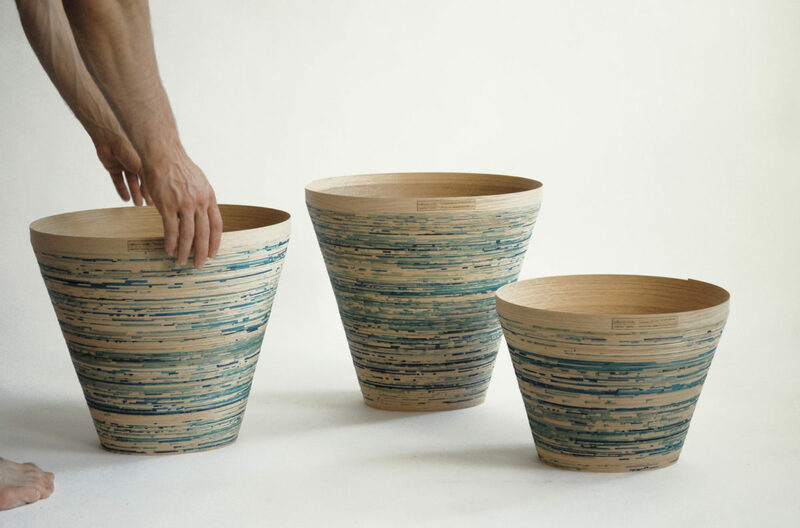 Depending on the overall interaction time the baskets’ height is defined. The more often somebody stops by to watch the process the higher the outcome gets. 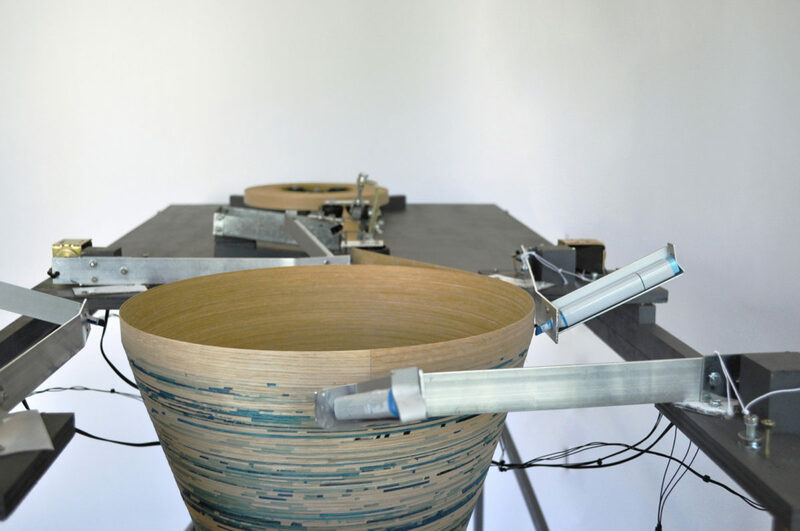 The machine directly reacts to each observer and thus the outcome is as well directly depending on the audience. 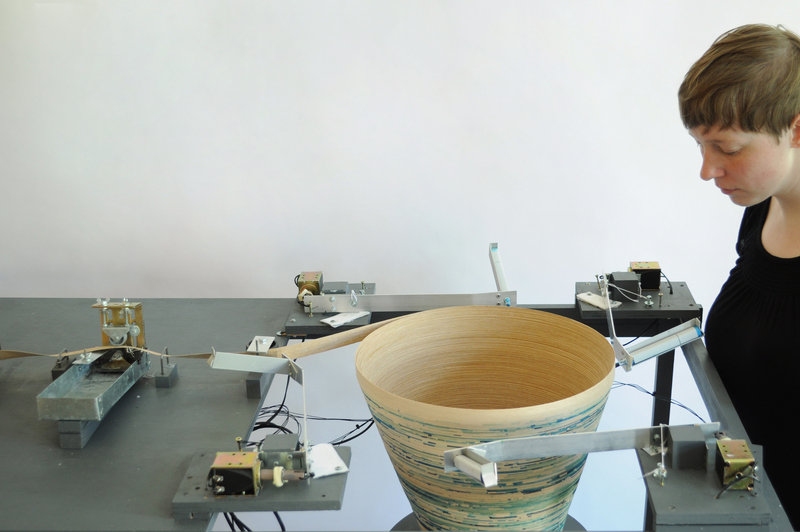 Every spectator leaves a mark on the object and therefore each basket becomes an unique record of the people’s interest in the object’s production. 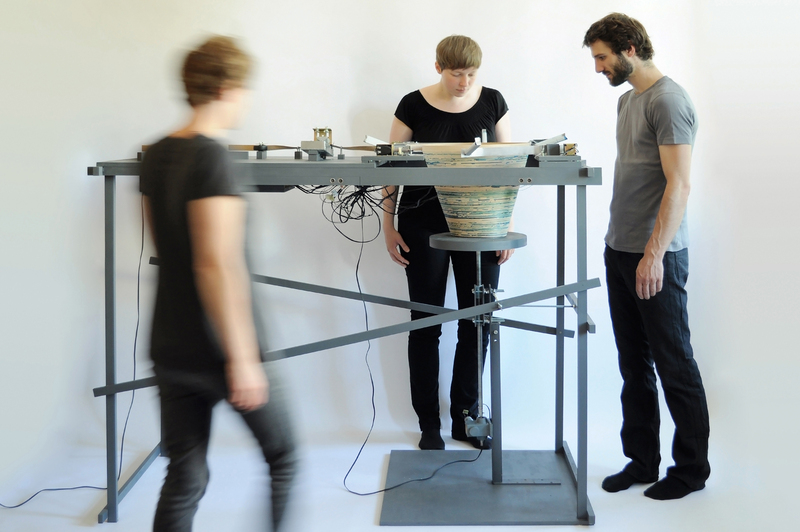 A basket – a vessel used to collect something becomes a collection of data by itself. If nobody is interested in the project, it stops producing at all and the final object just does not get made. This can be seen as ‘production on interest’. 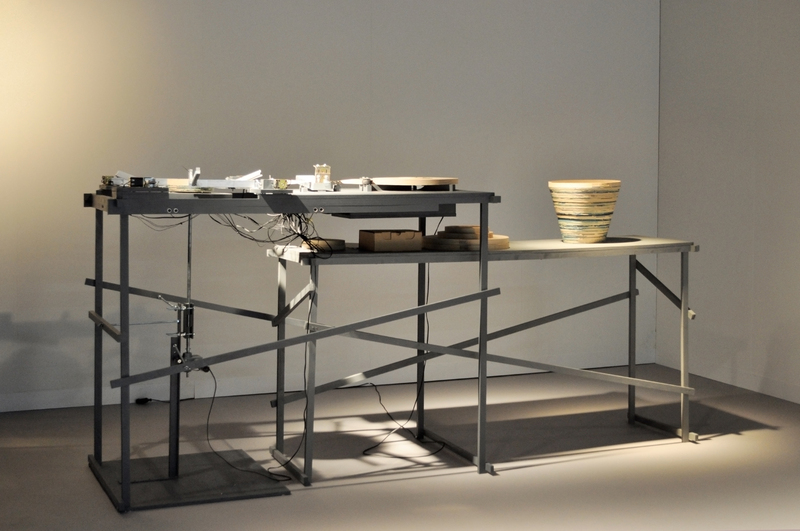 ‘Collective works’ also questions the relation between man and machine. The audience is turned into workers even tough their effort is basically just the time they spend with the machine – but time is what most of us lack. Somehow. Normally many machines in factories just need some technician to monitor the production and suddenly one machine needs some audience to produce colourful, vivid outcomes. 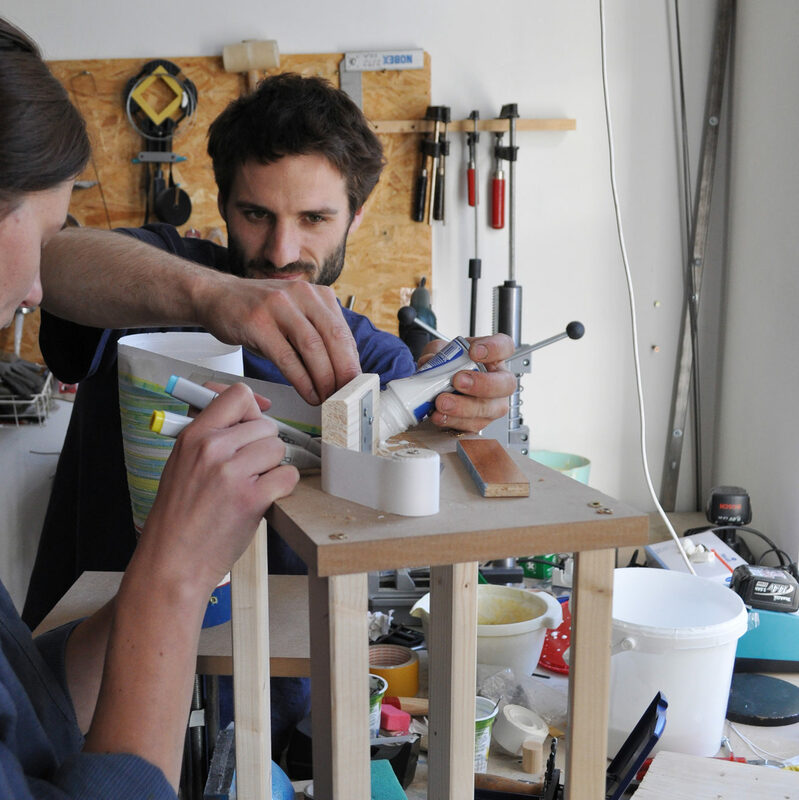 This project was initially developed for the ‘W-hotels designer of the Future award’ exhibition at Design Miami/Basel 2011. 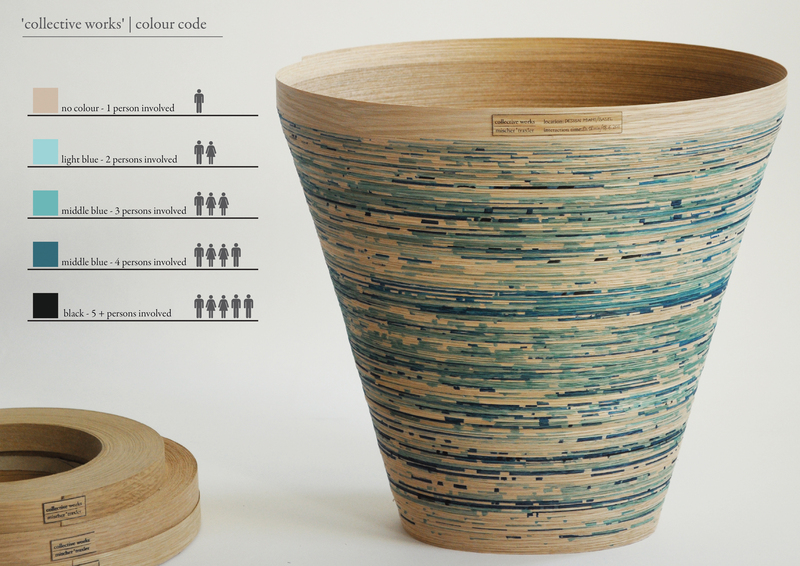 Every spectator leaves a mark on the object and therefore each basket becomes an unique record of the people’s interest in the object’s production. If nobody is interested in the project, it stops producing at all and the final object just does not get made. This can be seen as ‘production on interest’.